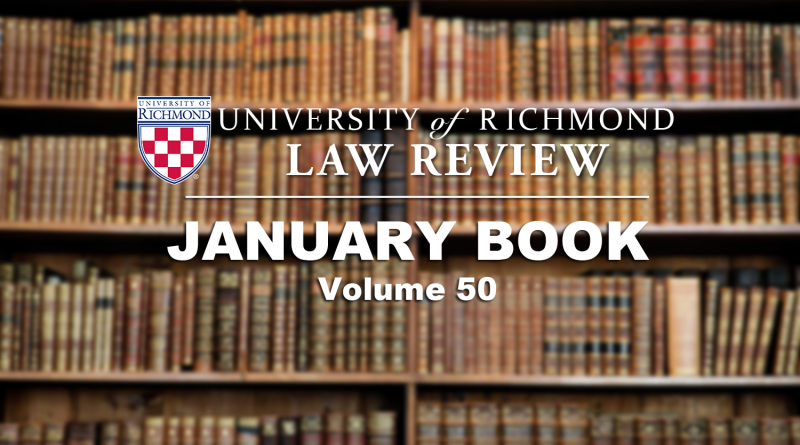 J. Rodney Johnson, Professor of Law, Emeritus, of the University of Richmond, was one of the preeminent legal scholars of wills and testamentary trusts in Virginia. He was born in the Oak Grove section of Richmond, Virginia, on July 9, 1939, into a devout Baptist family, of which he was one of five sons. Healthcare reform is not a singular event, but instead is a constant process that will continue into the foreseeable future. This article proposes a creative solution to the acrimonious and debilitating method we currently use in assessing and implementing healthcare reform proposals. President Obama has made executive action and prosecutorial discretion his signature contributions to immigration policy. His aim has been to focus enforcement against immigrants caught at the border or with criminal records while easing the path toward integration for others. These actions—a collection of policies that use discretion to improve the legal standing of millions of unauthorized immigrants or at least shield them from arrest and deportation—may benefit as many as 87% of the unauthorized immigrants in the United States. Sometimes dramatic, sometimes mundane, acts of civil disobedience bring attention to issues that have recently included climate change, policing, and high school closings. In the United States, we are surrounded by protest. The stories of these protests capture deep aspects of the human experience and our relationship to government power. These stories often involve a confrontation between the protester and the law. Popular media is full of stories of protesters who have stepped over the law: the news article regarding a nun who served seven years in federal prison for pouring a vial of human blood on a Trident missile silo; the movie about an environmental protester who broke up a federal lease auction; the business journal report on the $20 million cost to the city of Baltimore for the police overtime and cleanup as a result of protests.